MiracleCoat Equi-Block 8 oz. 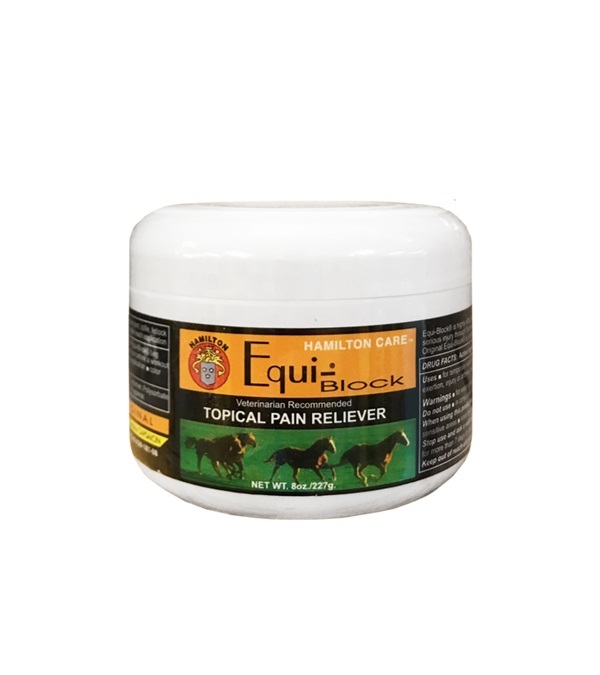 - Jacks Inc.
A scientifically advanced topical pain reliever that combines the unique pain killing properties of capsaicin (an extract that penetrates the skin) with the soothing, anti-inflammatory qualities of Levonemol. 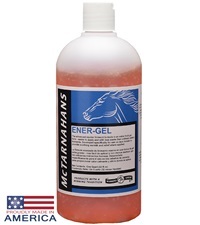 Tremendous success decreasing pain in soft tissue injuries and joints in the equine athlete. Will not test positive, blister or scurf. Works immediately on application. Apply 1/2 to 1 oz. to the desired area. Rub in until thoroughly absorbed. 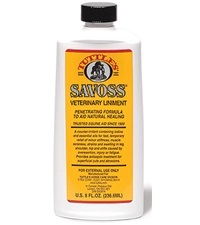 Tuttles® Savoss® Liniment 8 oz. 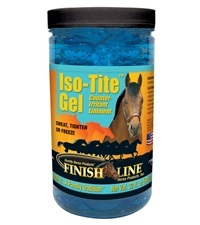 Finish Line® Iso-Tite™ Gel 32 oz. 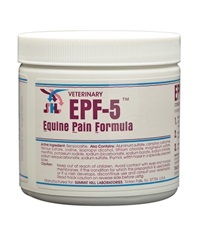 EPF-5™ Equine Pain Formula with Benzocaine 14 oz. 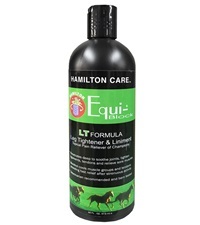 MiracleCoat® Equi-Block® LT Liniment 16 oz.